In these times of spiritual poverty, Christ is coming again through the Messages of True Life in God to restore spirituality as an essential part of human life and to lead people back to Him and His Commandments. 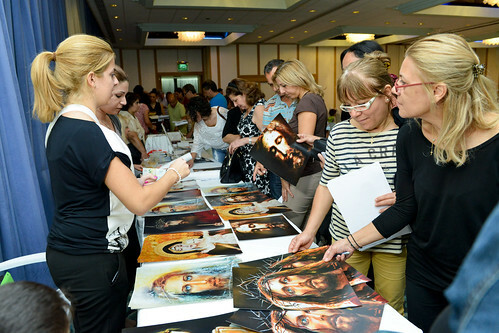 Christ said to Vassula, at the beginning of her mission, that His message of True Life in God would spread in every nation, since He Himself has blessed it. And so it happened. The invitation Vassula received to speak in Cyprus was actually the fifth in 3 years. The trials Cyprus is going through seem to be endless. Yet hardships and trials don’t necessarily come from God. Sometimes He allows them to exist because He just wants to wake us up, to give us a new perspective that is in accordance with His law. 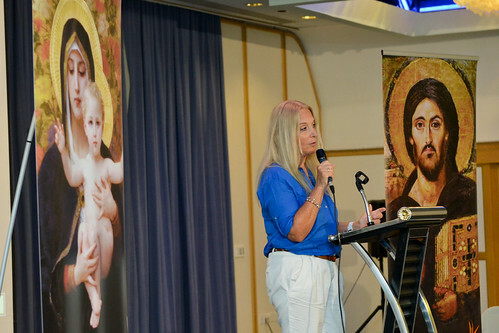 Vassula immediately accepted the invitation and shortly after the TLIG Pilgrimage to the Holy Land, travelled to Cyprus, to share with the Cypriots what Jesus Christ has taught her. After all, He said that this knowledge is not intended for her only, but for the whole world. 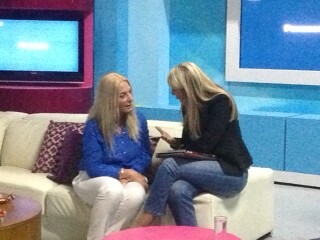 On Monday October 14, 2013, Vassula appeared on a Cypriot TV show “Together with RIK”. Elita, a journalist, the host of the show and a pious Christian, had met Vassula for the first time in January 2012. This was the second interview she had with her. The duration of the interview, though, was reduced due to events that couldn’t have been anticipated. However, we were not intimidated, since we are aware that in every mission there will always be obstacles and difficulties. I would go so far as to say that, if there are no difficulties, we should be worried. In other words, obstacles are always a sign that we are on the right track. The show started with an introductory DVD on Vassula’s mission. The interview lasted around 15 minutes and was conducted in a warm atmosphere. 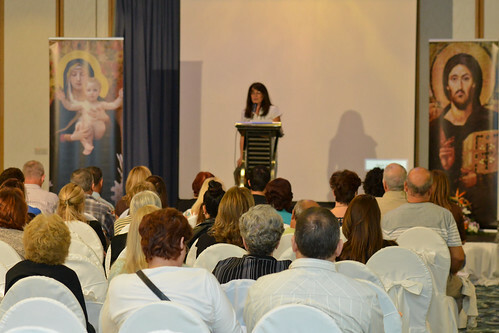 At the end, there was an announcement of Vassula’s talk in Larnaca the next day. The organizers of this talk had only one month at their disposal to prepare for the meeting. Despite the little time available, our friends, Ninetta and her daughter Inge, managed to arrange everything. 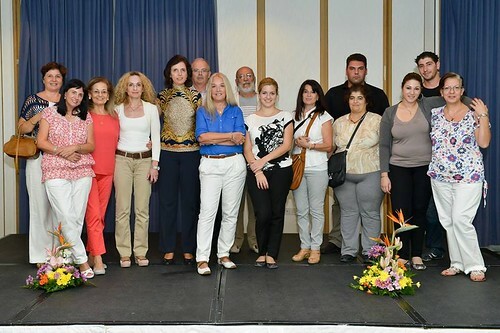 Vassula’s talk took place on Tuesday, 15 October, at 7 pm, at the Palm Beach Hotel, Larnaca. At the entrance hall, printed TLIG material was available in three languages, Greek, English and French, as well as DVDs with Vassula’s talks in various countries. Members of the TLIG prayer group gave information about TLIG and Vassula to those interested. 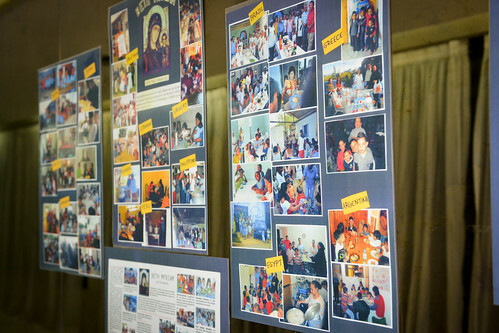 The hall was decorated with pictures from Vassula’s missions, as well as pictures of the 25 “Beth Myriams” operating worldwide, offering food and love to the needy around us. Also, they had placed pictures of Vassula’s mission, as well as of the 25 Beth Myriam operating today in the world offering food and love to needy people around us. So, at the beginning of the talk, I presented Vassula and invited her to speak about her particular communication with the Holy Trinity. She gave her speech in Greek, without the help of an interpreter, for the first time. Her talk was broadcast live on TLIG radio. 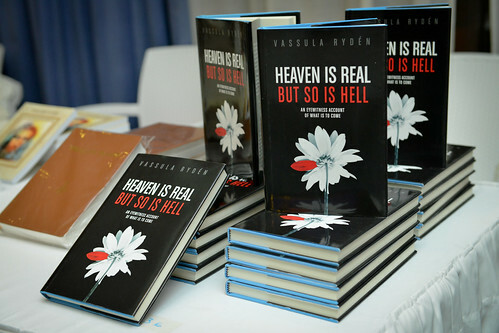 Vassula spoke about the True Life in God messages she has been receiving in a mystical way that is called “locution”. She referred to the beginning of TLIG, when the Lord called her and taught her on a daily basis. After 3 years of teaching, the Lord paved the way for the dissemination of His work throughout the whole world. Vassula talked about the Love of God, the gifts of the Holy Spirit that should be increasing within us, about the guileless love that unites the soul with God. She also talked about repentance, which is the gate that leads souls from darkness to light and allows the Holy Spirit to enter the soul and prepare it for the perfect union with Him. Vassula also talked about the prophecies and warnings the Lord gives, to wake us up from our lethargic sleep. She emphasized that God’s Heart is suffering because the world has grown cold, icy cold, and is dead to love. She explained that disasters, famines and afflictions are drawn upon us from our iniquities, because everything that comes from the earth, returns to the earth and it is not God who causes these disasters. Vassula also referred to the current economic crisis in Greece and Cyprus, as well as the whole world, and she attributed it to the corruption and remoteness from God. Christ warns us, because He wants to save us. Vassula drew our attention to the coming fire, stating that the Lord has not yet seen some sign of repentance. This fire will cleanse the world from their transgressions and their sins. The majority of the audience didn’t know about the TLIG messages and listened to Vassula’s speech with undiminished interest. 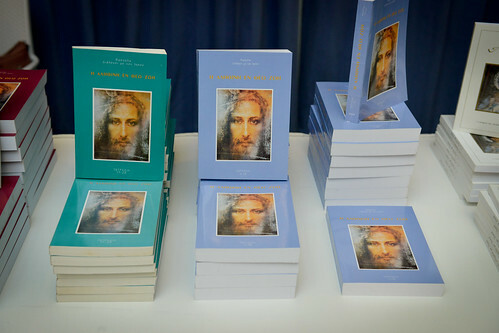 The event had a considerable impact on the newcomers and they expressed the desire to read what the Lord says today by buying TLIG books and DVDs. Several people gave contact details so as to receive the TLIG magazine in Greek as well as the TLIG e-news, and expressed an interest in joining prayer groups. 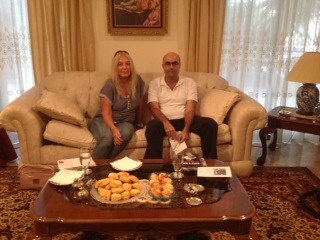 On Thursday October 17, Vassula gave an interview with journalist Theodore Panayidis for the “Sunday Mail”, a British newspaper. The interview was published on November 3, 2013 under the title: “A Message from God” and can be read here: www.cyprus-mail.com. The interview lasted an hour instead of 15 minutes as originally planned. Vassula completed her mission in Cyprus. The study of the messages and their dissemination of them will bear fruit and hope on the island and its people. Salvation lies in Christ Himself. Vassula, Christ’s messenger, as “athlete runner”, carries out the work God assigned to her with faith and perseverance, overcoming obstacles and hardships, so that all countries and cities can hear the Message of the Lord.